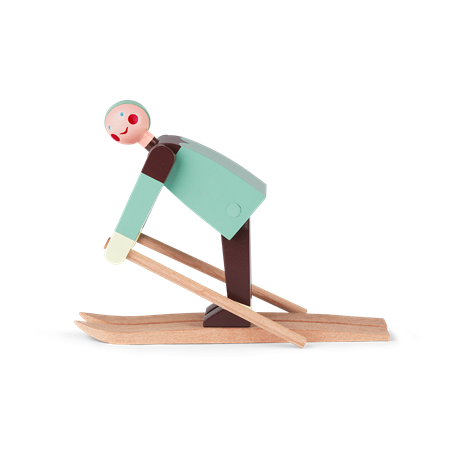 The two fresh-faced skiers were designed by Kay Bojesen towards the end of the 1940s. 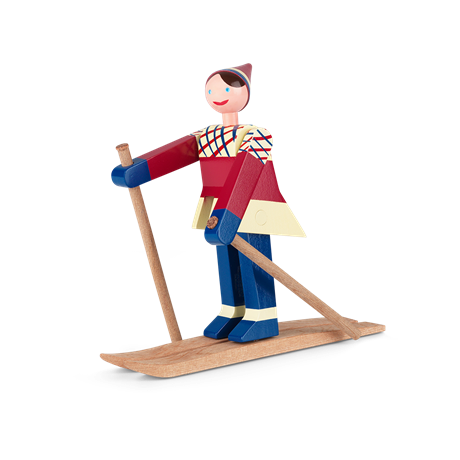 This happy boy skier with the red bobble hat and checked jacket is named Boje, which was the pet-name of Kay Bojesen’s son, Otto. 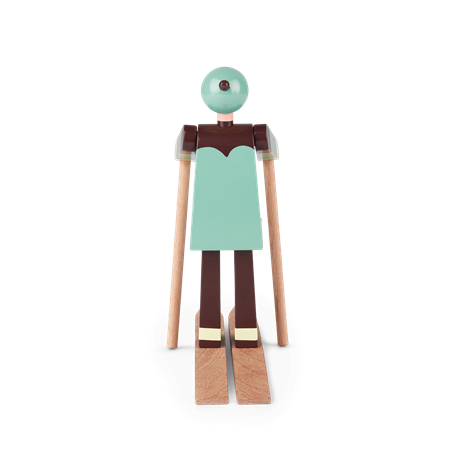 The boy skier’s female companion is named after Otto’s wife Ruth, whose pet-name was Datti. These two dauntless figures were only produced in small series, so the original wooden ones are very rare. 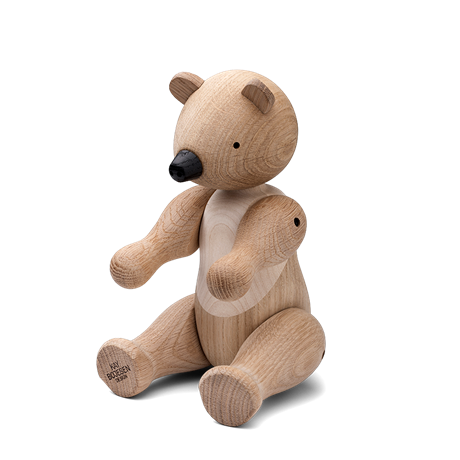 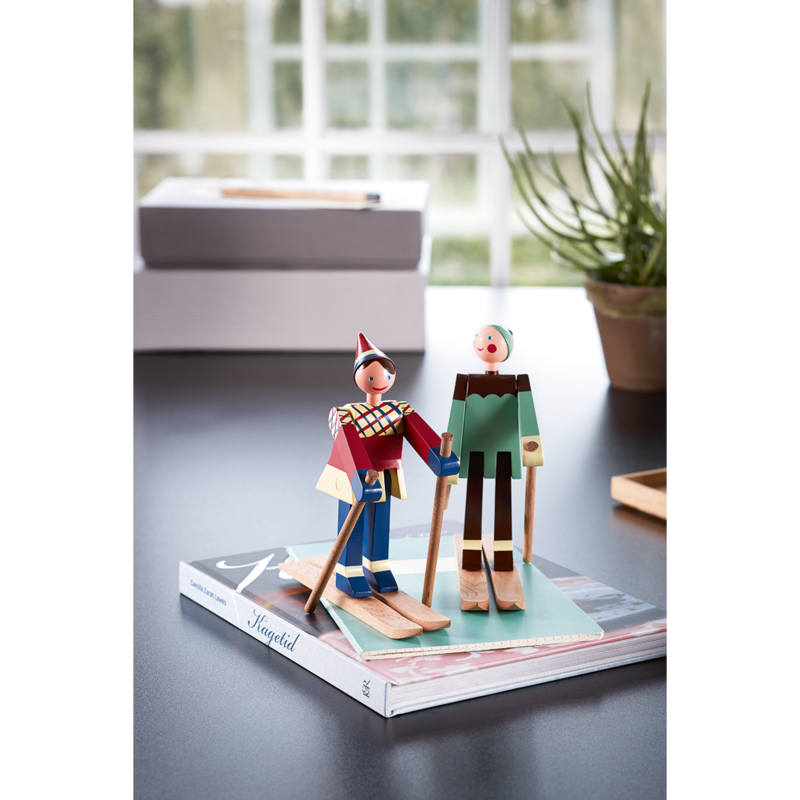 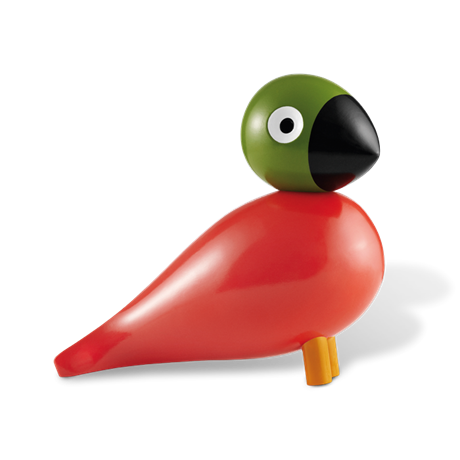 The fresh-faced boy skier is made of painted beech and looks all set to conquer Danish homes with his happy smile in this relaunch. 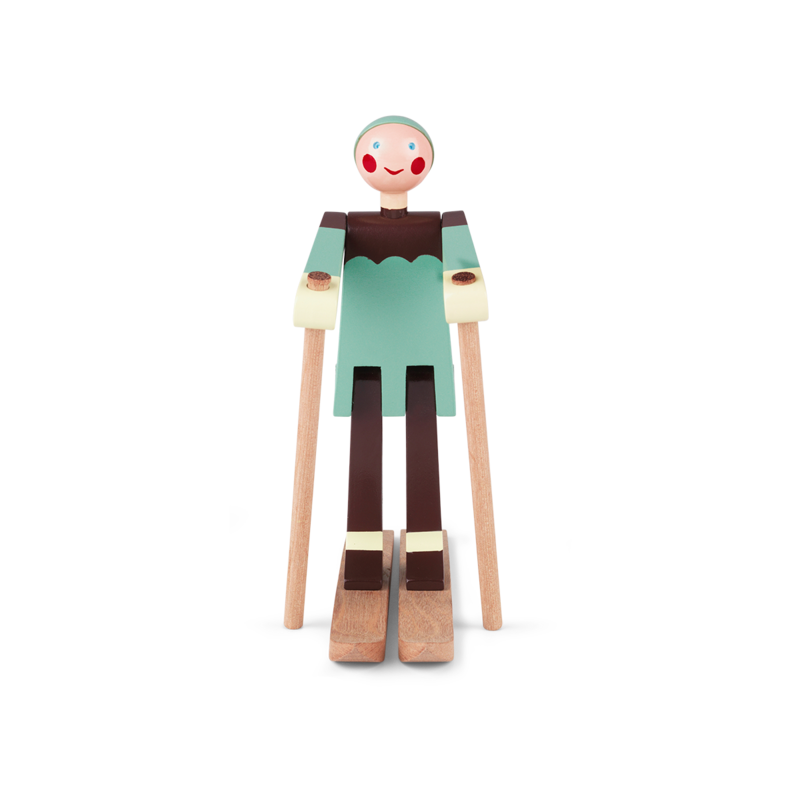 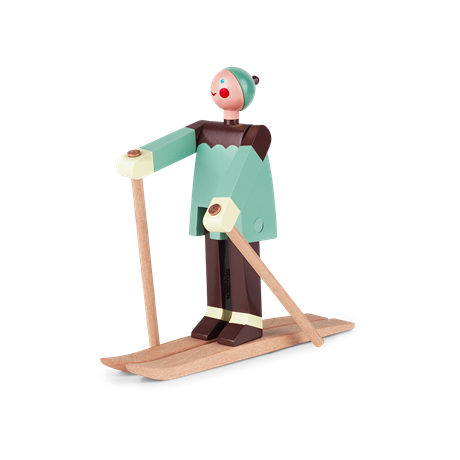 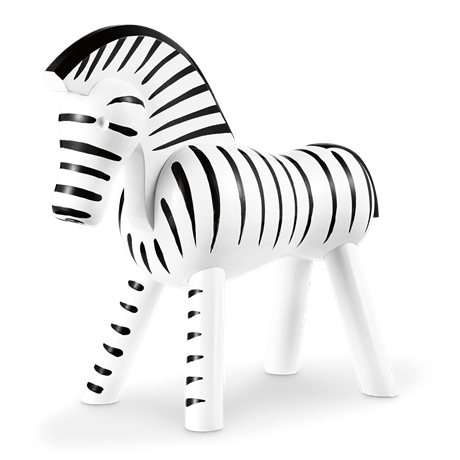 The skiers stand 15.5 cm tall.